1608 - John Smith was elected president of the Jamestown Colony Counsel, Virginia. 1776 - Georgia Washington asked for a spy volunteer. Nathan Hale volunteered. 1893 - Al "Fuzzy" St. John was born in Santa Ana, Ca. 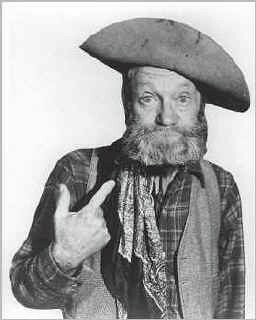 Fuzzy played a slaptick side kick to cowboy movie heroes in the black and white days. I enjoyed watching his antics with Lash Larue and Happalong Cassidy and probably more. Strangely in the 1950s Fuzzy St. John was in Marietta, Georgia. He was looking for land to invest in. And double strangely, Fuzzy's "straight-man" side kick Lash LaRue was arrested in Marietta not long before for public drunkeness or vagrancy..... Now, it we can only connect Hoppalong Cassidy, The Long Ranger & Tonto, Bob Steele, and Johnny MacBrown to Marietta the collection will be complete.